should be happy that recovery Tuesday is here; however, I am feeling a bit under-the-weather. My sinus problems has been bothering me and does not seems to go away. When you can’t smell the food it is hard to find the appetite to eat. I will be seeing my primary doctor, Dr. O, this Thursday to ask her opinion. Last week’s chemo treatment was relatively uneventful. 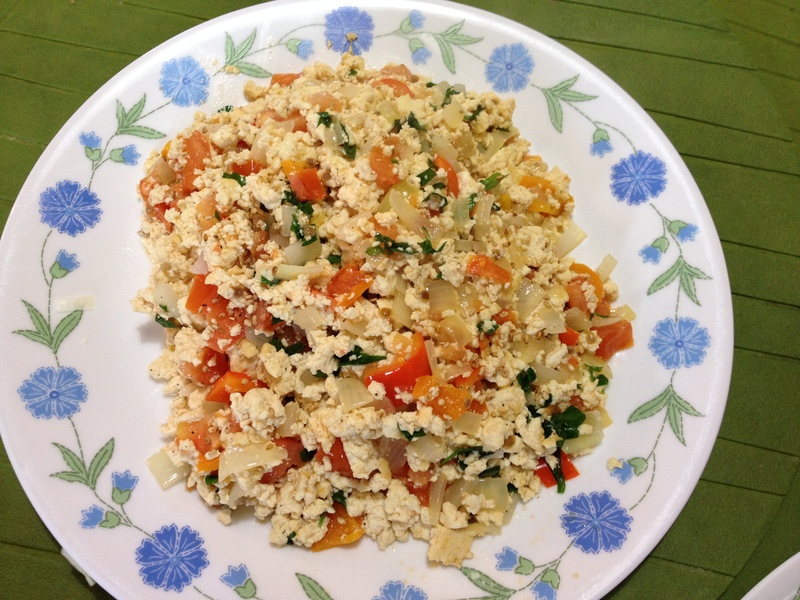 There was the usual nausea and chills but it was mild compared to the previous one. Why? Maybe it was the running I did the previous week to prepare for the coming chemo week. I felt much stronger too and was focused in my yoga class. So I tried the same approach this week in preparation for next week’s chemo. I ran 3.11 miles Sunday at 12:31 average pace, nursing my runny nose all the way. I felt good after. Monday came and I wanted to run but did not have the energy. Today, I thought about running but I could not get motivated. I got to get going on my running! Last January 1, 2010, I wrote about my hopes and plans for the new year. One of them was to run the 8K Shamrock Shuffle with my family. That day is looming close, March 21. I am looking forward to the race but I know it is going to be difficult for me. “It’s an 8K for crying out loud!” Yeah, try running it with toxic chemo drugs in your blood and a runny sinus. 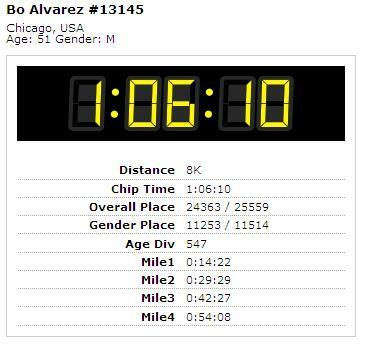 Last year, I did this in 54:10. It was my first race and I clearly remember that day. 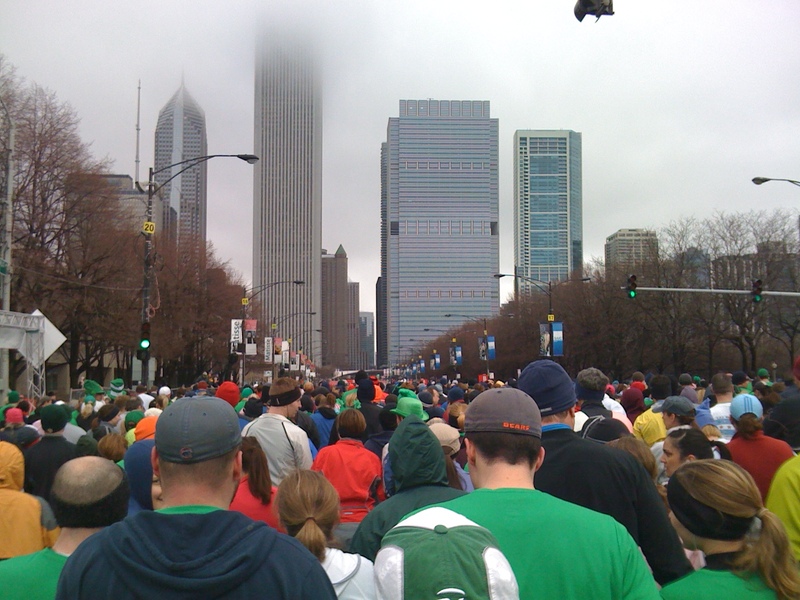 (See my previous post, “2009 Shamrock Shuffle – My first Race”). There was 3” of snow and it was cold. I hope the race conditions this weekend will be better. No matter what, I will be there on the starting line with my family. As for the time, who cares. I will cross that finish line and claim my token moment that I will be cancer-free one day. PS: One more chemo cycle and I see to Dr. A (Transplant Specialist) on April 5 about liver surgery to remove the tumors.